ArtWatch has been haunted for two decades by a nearly-but-not-made restoration disclosure. 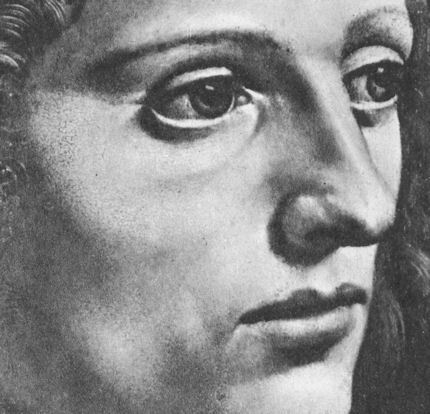 In the 1993 Beck/Daley account of the Nippon TV sponsored Sistine Chapel restoration (Art Restoration: The Culture, the Business and the Scandal), we reported that in the late 1980s Leonetto Tintori, the restorer of Masaccio’s “Trinity” in the Santa Maria Novella, Florence, and a member of the international committee that investigated the controversial cleaning, had “urged the Sistine team privately to preserve what he termed ‘Michelangelo’s auxiliary techniques’ which in his view included oil painting as well as glue-based secco” (p. 111). What we had not been able to say was that Tintori (who died in 2000, aged 92) had prepared a dissenting minority report expressly opposing the radical and experimental cleaning method. Shortly before the press conference called to announce the committee’s findings, Tintori was persuaded by a (now-deceased) member of the Vatican not to go public with his views. He was assured that his judgement had been accepted and that what remained on the Sistine Chapel ceiling of Michelangelo’s finishing auxiliary secco painting would be protected during the cleaning. With a catastrophically embarrassing professional schism averted, the restoration continued and the rest of what Tintori judged to be Michelangelo’s own auxiliary and finishing stages of painting was eliminated. Without knowledge of Tintori’s highly expert dissenting professional testimony, the public was assured that despite intense and widespread opposition the cleaning had received unanimous expert endorsement. Critics of the restoration were left prey to disparagement and even vilification. On January 4th, we noted that in the widely reported schism that emerged at the Louvre with the resignations of Ségolène Bergeon Langle, the former director of conservation for the Louvre and France’s national museums, and, and Jean-Pierre Cuzin, the former director of paintings at the Louvre, from the Louvre’s international advisory committee on the restoration of Leonardo’s “Virgin and Child with St. Anne”, it had been recognised that the resulting crisis of confidence was of a magnitude not seen since the Sistine Chapel controversy. Restoration advisory committees are not imposed on museums and customarily they serve as political/professional fig leaves. In the wake of the Louvre committee resignations, embarrassed and perhaps panicky members of the museum’s staff offered self-contradictory and unfounded assurances (see below). In January, the Louvre’s head of painting, Vincent Pomarède reportedly claimed that “The recent cleaning was absolutely necessary for both conservation and aesthetical reasons.” This assurance proved unfounded on both grounds. Pomarède added that no member of the committee “has ever said that the cleaning was not prudent and had gone too far technically.” One has now done so – publicly – and left museum restorations under an unprecedented spotlight. During an earlier cleaning controversy at the Louvre, Edgar Degas threatened to produce an anti-restoration pamphlet that would be what he termed a “bomb” – but he never did so, so far as we know. Now, as Dalya Alberge reports in the Guardian, the French Le Journal des Arts yesterday published an interview with Ségolène Bergeon Langle of truly momentous if not incendiary consequence (see below). We learn that her resignation came after no fewer than twelve letters requesting information on the restoration’s course went unanswered; that it was made in specific and pointed protest against the use of retouching pigments whose safety had not been proven; and, that the Louvre’s public claims of some pressing conservation need to remove the varnish were false, having been made despite it being known within the museum that any potential threat to the paint came not from the varnish but from a single faulty board in the picture’s panel which was reacting to the museum’s insufficiently stable environmental conditions. 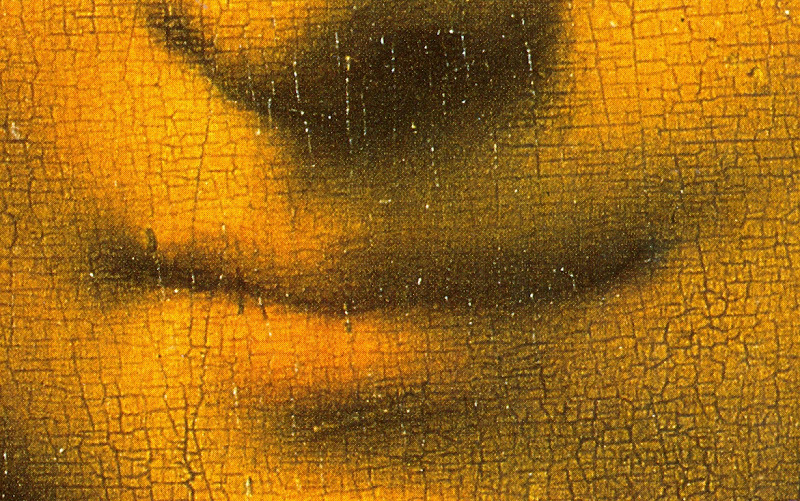 Perhaps most disturbingly serious for art lovers are Bergeon Langle’s disclosures that along with old (but nonetheless still protective) varnishes, original material of Leonardo’s was removed – against her advice – from the painting; and, aesthetically, that it is confirmed that the modelling of the Virgin’s face was weakened (see Figs. 1 and 2; and, for weakening to the modelling of St. Anne’s face, Figs. 12 and 13). 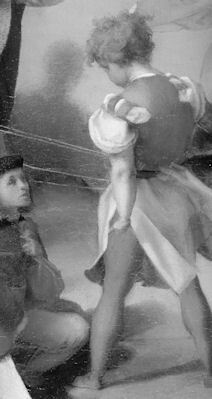 That the Louvre authorities would not inform even so distinguished a member of its own advisory committee might suggest either that the restorers had not known in advance what they would be doing to the painting; or, they feared that disclosure of their intentions would provoke opposition within the advisory committee. Either way, this was clearly an unacceptable (if not improper) way for a museum to execute irreversible alterations to one of Leonardo’s most advanced sophisticated, complex and problematic works. To Bergeon Langle’s now public “insider” criticisms, additional detailed material to highlight further Louvre procedural shortcomings and misrepresentations to the press and to the public will shortly be presented by Michel Favre-Felix, the president of the Association Internationale pour le Respect de l’Intégrité du Patrimoine Artistique (ARIPA). Favre-Felix is also to call formally for the establishment of a national scientific ethics committee that would be independent of museums and their restoration teams and be charged with re-examining the conservation file on the challenged St. Anne restoration. 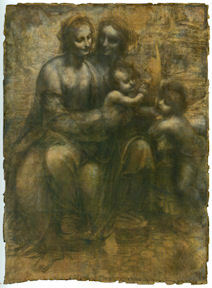 A second member of Louvre’s advisory committee, Jacques Franck, the world authority on Leonardo’s painting technique, has said to the Guardian that a restoration likely to generate such disapproval from leading figures should never have been undertaken in the first place and, given that Ségolène Bergeon Langle is unquestionably France’s highest authority on restoration matters, her alarmed protest is therefore one that should mean a lot to both Leonardo scholars and art lovers the world over. Unfortunately, the restoration-induced changes on the St Anne are not unprecedented. It is Art’s general tragedy that while scholars have quietly enlarged the oeuvre of Leonardo over the last century and a half, restorers have repeatedly swabbed and scritched away at the surviving fabric of those precious works – sometimes to an astounding degree, as with the “Last Supper” in Milan. 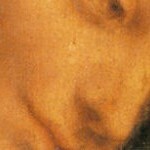 With the National Gallery’s substitute version of the “Virgin of the Rocks” we have seen how the distinctive Leonardesque expression on the angel’s mouth was altered (without any acknowledgement) despite the fact that a distinguished scholar and former director of the Gallery, Kenneth Clark, had seen the angel’s face as being “the one part of our Virgin of the Rocks where the evidence of Leonardo’s hand seems undeniable, not only in the full, simple modelling, but in the drawing of the hair”. 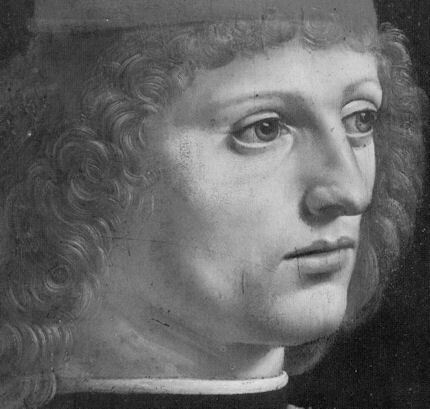 It is a matter of note that four of the most enthusiastically supportive members of the Louvre advisory committee were drawn from the curators and restorers who were directly responsible for the London and Milan Leonardo restorations. Ironically, Clark, with his pathological aversion to “dirty” varnish (which is to say, old varnish on an old painting on an old support), was more responsible than anyone for the subsequent museum restoration/stripping mania. Looking around today’s museums, it is hard not to conclude that Clark might have been more careful in his wishes. Bergeon Langle’s warning against the modern addiction to penetrative imaging systems is particularly apt and timely: the hyper-active restoration changes (see right) made to the modelling and to the expression of those precious living Renaissance faces have cumulatively thinned and abraded pictures surfaces and material components and thereby remorselessly pushed great paintings into sad resemblances of their own infra-red under-states (see particularly, Figs. 4-11 and 19 & 20). Technical curiosity kills more than cats. 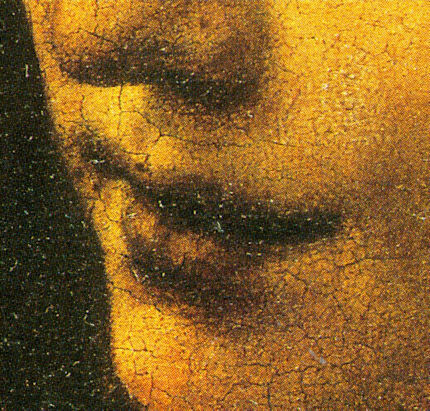 In the case of Leonardo it has contrived to pull that artist back from his own increasingly lush highly-wrought subtly atmospheric shading towards the brilliant but thinner decorous linearity of Botticelli, when any comparison of the “Mona Lisa’s” hands with those of Leonardo’s “Annunciation” would have warned precisely against such perverse and regressive adulterations. Above, Fig. 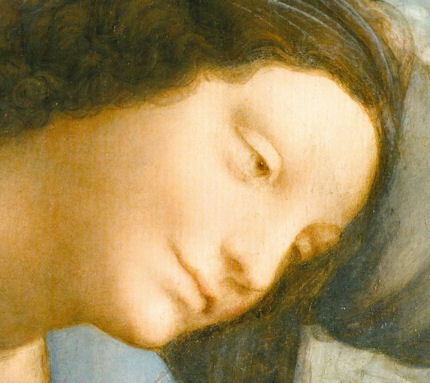 1: The Virgin (detail) from Leonardo’s “Virgin and Child with St. Anne”, before restoration. Above, Fig. 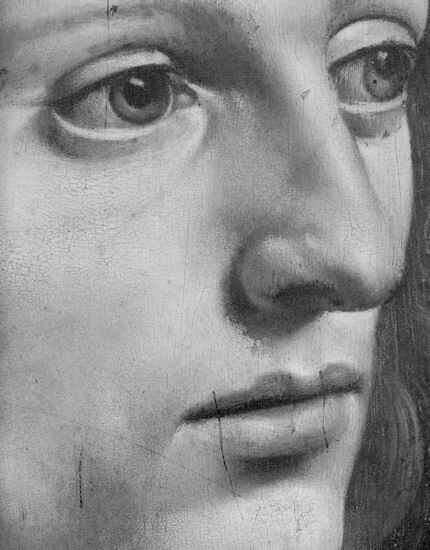 2: The Virgin (detail) after restoration. Above, Fig. 3: Left, the short Louvre catalogue, published in 2012 after the restoration; right, a plate of the same heads published in 1992. 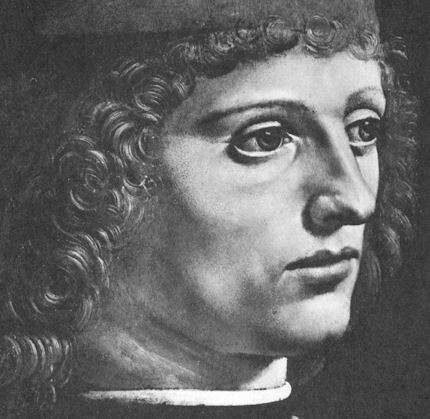 Above, left, Fig 4: Leonardo’s “The Musician” as published in 1945. Above, right, Fig. 5: an infra-red photograph of the musician published in 2011. Above, Fig. 6: The musician, as in 1945. Above, right, Fig. 7: the musician, as published in 2011. 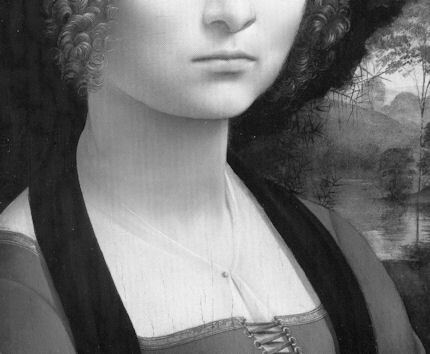 By any optical appraisal, it can be seen that Leonardo’s painting presently stands somewhere between its 1945 self and an infra-red photograph of itself. Above, Fig. 8: The musician, detail, as recorded in 1945. Above, Fig. 9: The musician, detail, as found in 2011. Above, Fig. 10: The musician, detail, as recorded in 1945. Above, Fig. 11: The musician, as found in 2011. Above, Fig. 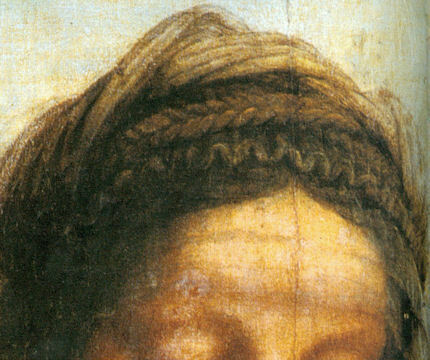 12: The eyes of St. Anne, in Leonardo’s “Virgin and St. Anne”, before its cleaning at the Louvre. Above, Fig. 13: The eyes of St. Anne, as found after the picture’s cleaning at the Louvre. Above, Fig. 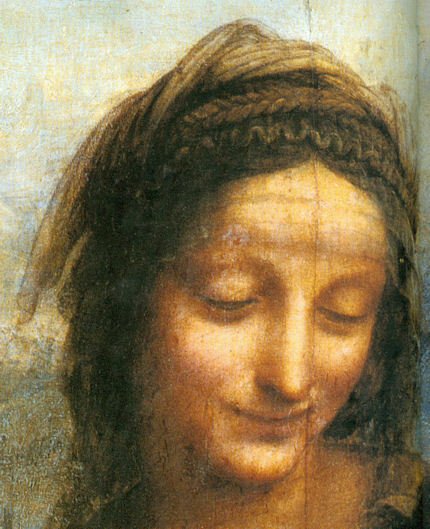 14: The eyes in Leonardo’s “Ginevra Benci”, as seen in Bode’s 1921 Studien über Leonardo da Vinci. Above, Fig. 15: The eyes of “Ginevra Benci”, as found in 2011. Above, Fig. 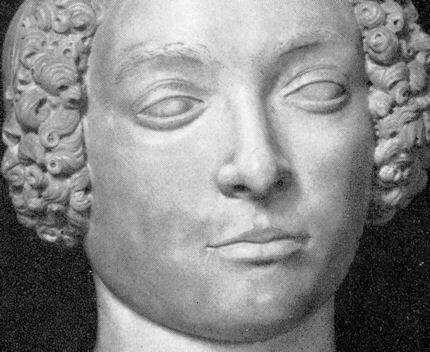 16: Andrea del Verrocchio’s “Flora”. Above, Fig. 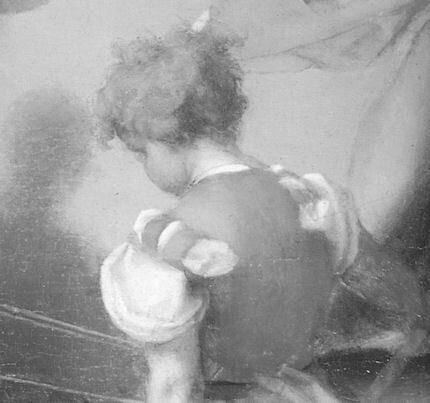 17: “Ginevra Benci”, detail, as seen in 1921. Above, Fig. 18: “Ginevra Benci”, detail, as seen in 2011. Above, Fig. 19: The musician, detail, as found in 2011. Above, Fig. 20: The musician, detail, as found in 2011. Can all the photographs in the world be wrong? Might anything ever count as a fair demonstration of a restoration-induced injury? Can no curator or trustee appreciate the inherent physical dangers when allowing restorers, who work with sharp instruments and highly penetrating solvents from the top down, to act upon pictures which artists have built from the bottom up in order to leave their finest and most considered effects exposed at the picture’s surface? Can no one in authority appreciate that every authorised restoration is an accident waiting to happen? Does no curator ever wonder what has happened to eyebrows and the shading around eyes – and mouths, and nostrils – when pictures are “cleaned” or “restored”? Does no curator appreciate the vital function that shading serves for artists who are attempting to capture from nature, or to evoke imaginatively, a precise and specific personality, state of mind, engagement with the world? Does no curator recognise the tell-tale signs when restorers subvert artistically conjured forms and change the expression on subjects faces? 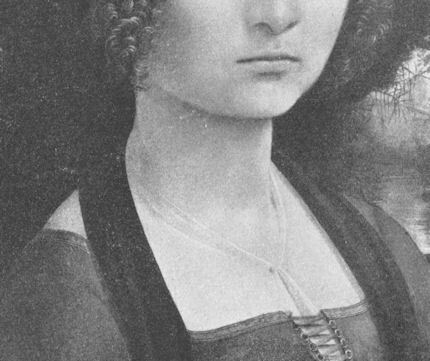 Would Kenneth Clark, if he were alive today, still consider “Ginevra Benci” and “The Musician” to be Leonardo’s best preserved works – and if not, why not? In the art trade it is recognised that the best preserved works are those that have been preserved least often by “conservators” and “restorers”. Why do people who are charged with protecting art in within the museum service so often take a contrary view? What supports their apparent belief that a much or a radically restored work may count as a “best preserved” specimen? 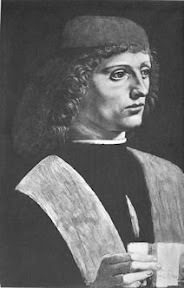 They all use the words freely, but do any Leonardo scholars, or Leonardo exhibition organisers, truly comprehend the vital conceptual connection between an artist’s system of illusionistic shading and the forms that sculptors literally build? Are any scholars prepared to discuss the manifest changes to Leonardo’s works that emerge in each successive monograph? The elephant in the art restoration room is this: while photography and book reproduction methods improve ceaselessly (see in particular the excellent and instructively enlarged photographs in Giovanni Villa’s Leonardo da Vinci – Painter, The Complete Works), authors themselves habitually refrain from discussing the nature of the often profoundly altered states to which their photographs testify. Ségolène Bergeon Langle, a conservation scientist, has bravely lifted the lid. Will others now discuss what lies below? The penny dropped last week in Paris: museum picture restoration is becoming a money-making machine in which the artistic sums may not necessarily add up. 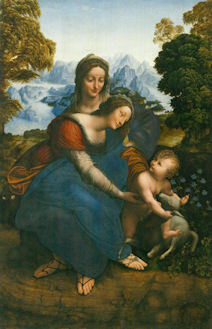 The Louvre’s restored Leonardo “Virgin and Child with St. Anne” re-appeared in a series of openings for a swish exhibition-of-celebration, “La Sainte Anne l’ultime chef-d’oeuvre de Léonardo de Vinci”, sponsored by the Italian fashion house Salvatore Ferragamo (whose 2012 fashion show is to be held within the Louvre). The official defences of the restoration are found in the exhibition literature and in a DVD film (“Leonardo de Vinci The Restoration of the Century”) celebrating “The spectacular operation, the likes of which occurs only once a century”. Although there may be a touch of “The Official” in the film, acknowledgement is certainly made of opposition to the course of the restoration that came from within the advisory committee itself. Jean-Pierre Cuzin, the former director of paintings at the Louvre, is seen to speak with great eloquence on the option of, essentially, leaving well enough alone. Reference is also made to wider opposition that was reported in what is described as “a virulent press campaign”. The organisation of the exhibition itself is seen to testify to the rapid growth of mutual support systems within the international museum community. At the same time, we can now better gauge the restoration’s artistic consequences and better appreciate why two eminent art authorities, Ségolène Bergeon Langle, the former director of conservation for the Louvre and France’s national museums, and Jean-Pierre Cuzin, resigned from the restoration’s international advisory committee. As with the Credit Suisse sponsored exhibition “Leonardo da Vinci – Painter at the Court of Milan” which gathered £1.5bn worth of Leonardos in celebration of the National Gallery’s restored “Virgin of the Rocks” (see Figs. 17 & 18), this Ferragamo/Louvre exhibition has drawn masterpieces by Raphael, Michelangelo, Pontormo, Andrea del Sarto and others. 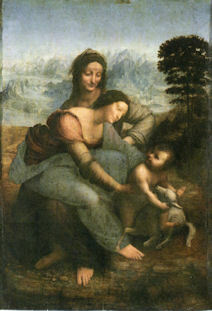 The National Gallery (two of whose staff members served on the St. Anne restoration’s international advisory committee) loaned its hitherto unloanable Leonardo “Burlington House Cartoon” in a straight swap for the Louvre’s earlier loan of Leonardo’s original “Virgin of the Rocks” to the London Leonardo-fest. 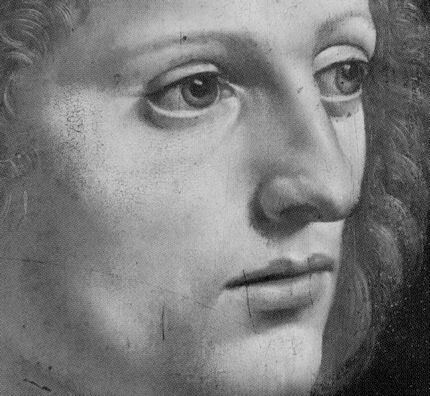 It would seem that in this international bonanza, one restored Leonardo begets another and each begets a plumply lucrative exhibition and catalogue. The current escalation in travel and restoration risks for works of art is terrifying. The Louvre’s current exhibition is said by the curator, Vincent Delieuvin, to comprise “a science workshop”. But this “workshop” could not inform the treatment of the painting because it followed, not preceded, the restoration. Moreover, the exhibition itself imposed a guillotine on the restoration. Members of the international advisory committee who wished for more tests, for more consideration of vexing issues, felt thwarted by the Louvre’s need to finish the restoration in time for the arrival of the stupendous borrowed treasures. The cumulative assembled testimony of the exhibition’s many borrowed copies and derivatives of the “St. Anne” might well have been instructive, but, not having been seen, it finds no reflection in the restored Leonardo which artistically has pulled away from its own off-spring (see Figs. 13-16). Delieuvin’s reported twin claims that the restoration “is a true resurrection of the ‘St. Anne’” and that “The painting has recovered a depth and a relief almost like sculpture, with an intense palette of lapis lazuli blue, lacquer red, grays and vibrant browns”, seem both rather tastelessly hyperbolic and at variance with visual evidence (- see right). Certain structural stresses in the over-heating art economy have become visible. At the exhibition’s epicentre the “Burlington House Cartoon” and the “St. Anne” (for which picture the drawing was a study), have been brought together side by side in a spectacular but counter-productive coup de théâtre (see Figs. 13 & 14). The drawn study, now discoloured but sombrely potent in a magnificently worthy black frame, conjures a breath-taking orchestration of monumentally poetic forms, forms that rightly have been seen to rival the pedimental female groupings of the Parthenon sculptures. Since the Second World War there has been no drawing in existence to rival this fragile and brittle manifestation of the grandeur of Leonardo’s thoughts. (If lost – and in recent years lorries have been burnt-out in the Channel Tunnel and a ferry and its lorry cargo was lost in the Channel – no insurance money or state indemnity could acquire another of its kind.) In contrast, the restoration-weakened “St. Anne”, with its now arbitrarily floating, obtrusively abstract and glitzy lapis lazuli blue drapery, has departed from its formerly-realised self, as the adjacent cartoon and the exhibition’s many derivative pictures mutely testify. To see strong colours subsumed within tight sculpturally integrated groups, we must now look to derivatives of Leonardo rather than to their progenitor (see Figs. 15 & 16). “A fundamental restoration of Leonardo da Vinci’s St Anne was initially envisaged in the 1990s when a few quite conclusive cleaning tests were carried out. “The picture’s dull appearance, its hues discoloured and distorted by numerous repaintings of the sky and the Virgin Mary’s blue mantle, demanded the intervention that finally began in 2009. Minute bulges, very probably caused by the stress exerted on the picture layer by the hardening of old restoration varnishes rendered the restoration inevitable. “Preceded by an exceptional series of preliminary examinations and scientific imagery analyses carried out by the laboratories at the Centre de recherche et de restauration des musées de France (C2RMF) and generously financed by Mr Barry Lam, the restoration itself began late in 2010. The restorer, Cinzia Pasquali, was chosen following an invitation to tender and worked for more than a year at the C2RMF in the painting workshop in the Pavillon de Flore. “The restoration comprised two principle problems: the removal of the discordant repaintings, some resulting from very ancient and thick accumulations of retouches, the thinning of restoration varnishes oxidised and deteriorated by too many partial cleanings, the moving of excess varnish from one area to another using solvents, retouches and refixings down the centuries throughout its long history, the picture had obviously been devarnished and revarnished many times but fortunately the picture layer had been sufficient robust to resist this. The extremely irregular and oxidised state of the surviving varnishes distorted all the tints and, by a well-known physical effect, ‘decolourised’ and yellowed the original hues. 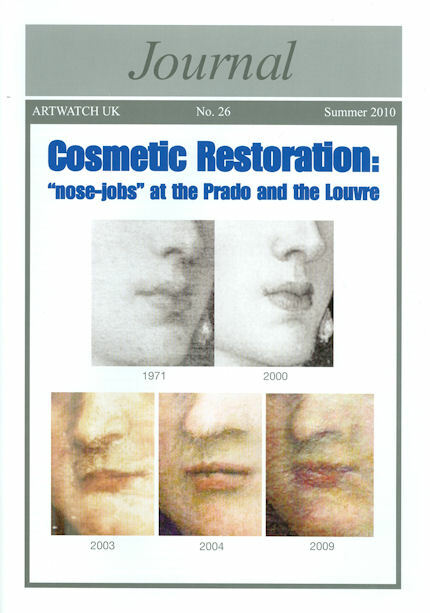 In this classic museum PR conflation of aesthetic and conservation “needs”, we are variously told that aesthetic changes had been necessary on urgent conservation grounds; that the restoration was “envisaged” some time ago and that this aspiration had been reinforced by the picture itself whose dull appearance “demanded” a restoration. Meeting this demand from the inanimate is said to have been made “inevitable” by a mysterious conservation ailment in the form of “minute bulges” which “very probably” were being caused by the varnish itself. “Very probably” is a distinctly weasel-phrase and seemed the more so because Ségolène Bergeon Langle had very recently pointed out that the minute manifestations were confined to a single board (which had been badly cut when first made) within the panel, and therefore could not have derived from overall varnishes which some were itching to remove. This analysis of the actual cause was accepted on the DVD film where it was claimed that the restoration had had to proceed because of “lifting due to contraction of the wooden panel”. That raised the larger restoration question: if the varnish was not causing the lifting, was there any conservation reason for removing it at all? A frankly negative admission on that point would, of course, have greatly strengthened the position of the “moderates” on the advisory committee who were, under any circumstances, urging restraint and caution. We now hear that not only is it admitted that the liftings of paint were indeed caused by this plank, but also that they had easily been repaired locally. In hope of preventing future liftings, the panel painting is to be encased in framing that will incorporate a suitable micro-climate designed to stabilise the offending wood. On the face of it, this is good news but, in today’s museum practice, a risk removed often seems to make space for another to be incurred. And, sure enough, we also hear it is now thought that, with the provision of its own micro-climate, this great picture can be regarded as safely peripatetic – and that as such it is to be despatched in the first instance to an annexe of the Louvre at Lens, in northern France. But then where next – Tokyo? Dubai? California? And on what tariff? Perhaps in addition to adding this “restoration of the century” to our list of cleanings sold on misleading conservation-necessity prospectuses, the picture should also be put on our Now At Grave Risk of Travel Injuries category? We trust that the Louvre authorities will amend their misleading wall notice on the restoration. The material on the picture’s surface is said to have been the accumulated product of many and various previous restorations (some with caustic substances), throughout all of which Leonardo’s original paint had suffered no injury. What chance, therefore, could the last restoration’s highly advanced, “extremely precise” techniques have produced anything other than an “extremely gentle” cleaning? Well, first of all, the proof of the pudding is in the appraising of the result – see right. Second, it is never wise to take restorers’ own prognoses at face value. Errors can occur at any point of the restoration process. The suggestion that a uniform layer of varnish had been left in place might surprise members of the international advisory committee who had been under the impression that varying thicknesses of varnish would be left in place according to specific needs for caution (as with the especially vulnerable face of “St. Anne” – see right). Further, questions arise in terms of conservation methodological practice. In restorations, paintings are stripped down and then reassembled by repainting. Where, then, are the detailed photographic sequences showing the painting before cleaning; after cleaning but before retouching; and, after cleaning and retouching? Without such hard visual documents the path of the restoration cannot be retraced. 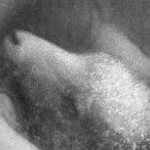 It was only when the National Gallery kindly provided such photographs that we were able to identify an unacknowledged change that had been made to the angel’s mouth in the London “Virgin of the Rocks” (see comments at Figs. 17 & 18). In the two versions of the Louvre exhibition catalogue (one of 52 pages at 8 Euros and one of 448 pages at 45 Euros) there are not even any facing images showing the picture before and after restoration. Such a pairing is found in the (excellent) Beaux Arts special “Léonard de Vinci – Les secrets d’un génie” at 6.90 Euros (a similar comparison is shown here in Figs. 14 & 16). There is also a helpful before and after restoration record of the National Gallery’s “Virgin of the Rocks” (see Figs. 17 & 18). 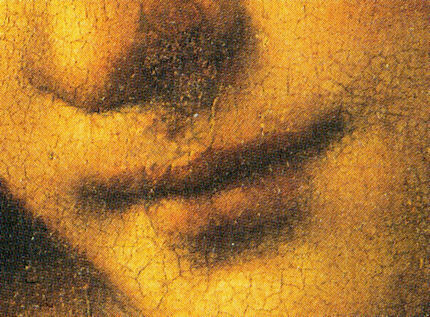 The Louvre and the National Gallery leonardo restorations share a common methodological feature: in both cases it is said that old varnishes were thinned but not completely removed. This claim creates a conundrum because in both cases changes have taken place which seem inexplicable in terms of a mere thinning of varnish. When explanations are sought or when appraisals are attempted, restoration authorities sometimes take fright, retreating behind claims that theirs is a highly specialised technical field whose mysteries are simply unfathomable to outsiders. Restorers themselves often don the proverbial doctors’ white coat and claim to have acted on not aesthetic grounds at all but on (quasi-) medical ones. For the “St. Anne” restorer, Cinzia Pasquali, this restoration was not made for aesthetic reasons. Instead: “This was about caring for a sick patient. From the conservation point of view we had to intervene, primarily to address a cracking of the varnish that could leave the paint exposed to damage.” Well, we now know that in this particular case the patient was not as sick as had been thought. But more importantly, we should remember at all times that works of art are made by people to be looked at by people. They are not created as laboratory specimens. Artists work with materials so as to produce values and relationships between values. No scientific test can analyse a value, let alone an inter-related group of values. To its maker, the professional test of a work of art is how it looks – the painter stops working precisely when the picture looks right. In the realm of art and away from corporately funded museum politics, the ultimate test of a restoration is also how it looks – but that is to say, not how it strikes the passing viewer (who may or may not be thrilled by solvent-brightened colours) but how it looks now as compared with how it looked previously; how it looked not just immediately prior to restoration but in its successively recorded history; and, most especially, how it looked the last time it was cleaned. If picture cleanings did no harm, if they were as simple and non-destructive as cleaning a window, each restored work would return to its appearance when last cleaned, and there would be no surprises, “discoveries”, “revelations”, “restorations of the century” – or controversies. While no one ever berates a window cleaner for ruining the views, restorations irreversibly change a picture’s “view” on to the world. Restoration is a one-way street that runs away from history, away from the original work. All cleaning controversies turn on the extent to which pictures suffer during restoration. Even among those who authorise restorations, some concede that there are losses as well as gains and frankly admit to seeking the best trade-off between improved legibility and pictorial injury. Defensive restorers insist that pictures cannot be harmed by their own “advanced”, “gentle” and “scientifically underpinned” methods. Making a fetish of the “safety” and the “science” of restoration methods attempts to shelve restorers responsibility to identify and account for all material and aesthetic changes. Given that all restorers’ methods cannot be superior, none should be held beyond question. With the physical alteration of art, aesthetic appraisal is essential to scholarship and art’s protection. In appraising restorations, the comparison of like with like is of the essence. In visual arts, appraisals are necessarily made by visual comparisons. Pictures are made by eye, hand and mind, to be viewed by eye and mind. Because each cleaning destroys the earlier state, comparisons can only be made between pre and post-restoration photographs. While straightforward cleaning might always be expected to achieve a greater vivacity of pictorial effect, it should never be made at the expense of the pictorial relationships, patterns, or gradations made in the service of modelling, that can be seen to reside in the uncleaned work. If the relationships can be seen it is because they are there – whatever chemical analyses might suggest to the contrary. The aesthetic production of pictorial values by artists is the proper science of art. Unfortunately, in such terms, the values that were formerly evident in this great picture seem not to have fared well in this last cleaning. Above, Fig. 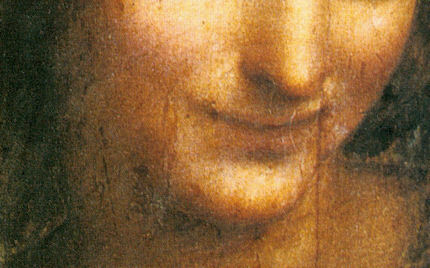 1: Leonardo da Vinci, “Virgin and Child with St. Anne”, detail, before cleaning. Note the artist’s very selective and artfully focussed disposition of his brightest lights, and, at the same time, the extremely subtle but sculpturally effective modelling of the Child’s right shoulder and arm. 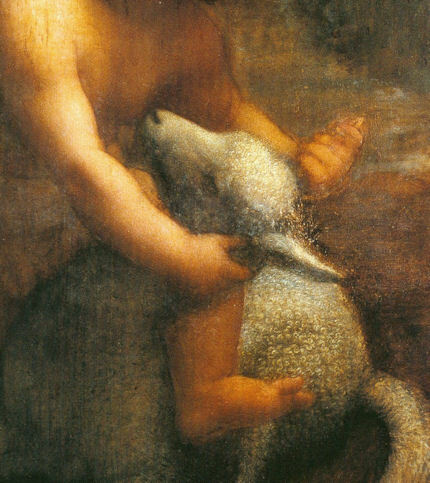 Note too, the careful placement of tonal values throughout this grouping and how successfully these values contribute to a general sense of sculptural placement in space – for example, how the Child’s left forearm recedes behind the bright wooly top of the lamb’s head, and how appreciably it recedes from the Child’s nearer right arm. Above, Fig. 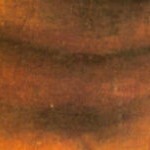 2: Leonardo da Vinci, “Virgin and Child with St. Anne”, detail, after cleaning. How to explain the differences between these two greyscale versions above, of Figs. 3 and 4 below? It has been said that the restorer left a thin layer of varnish over the paint throughout the picture. It is hard, on the face of it and given the scale and nature of the changes that took place in this single restoration, to see how they might have resulted from a reduction rather than an elimination of the varnish (but see below). And it is hard, too, to see how a restorer, cleaning freely by hand with nothing more precise than a cotton wool swab (evidently dragged not rolled in this instance) might differentiate perfectly between the lowest level of a varnish and the upper level of an old glaze of similar colour and tonality at every point. When previous restorers had applied their varnishes, often, presumably, after harsh cleanings, would those then-new, solvent-saturated varnishes not have integrated themselves to any degree within whatever material was to hand? One question that might always be borne in mind when evaluating pre and post-cleaning states, is whether or not the cleaned (altered) state looks more or less characteristic of the artist’s known traits. (This might be held a perilously subjective notion to conservators of a certain “scientific” bent, but without such an artistic navigational system, how might any restorer proceed?) Does this after-treatment Fig. 2 detail look more Leonardesque than the before treatment detail at Fig. 1? It is hard to see how this question could be answered in the affirmative. The melting of the Child’s limbs into and out of the artist’s light in Fig. 1 seems quintessentially Leonardesque, while the after-cleaning state of Fig. 2 might be thought rather more Michelangesque by comparison. A key difference between these two great Renaissance figures (and sometime rivals) was that Michelangelo was not averse to autonomously forceful contours. 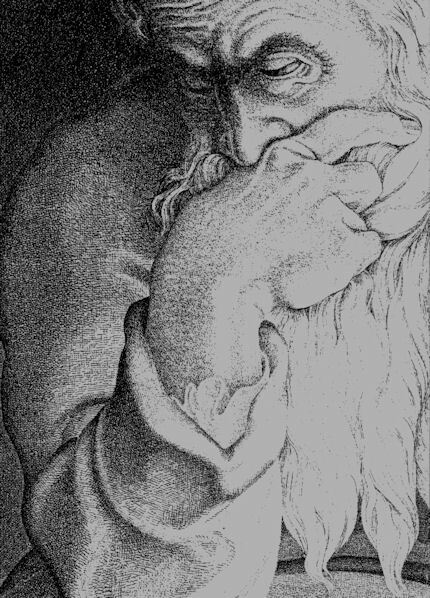 Leonardo, of course, wished to out-sculpt the great sculptor with shaded simulations of form on the picture plane; with forms disposed within an envelope of space and light that was entirely of his own shaping and in no way dependent on the contingencies of the real world in which sculptors’ productions must always take their chances. The existence of the surface upon which paint was applied was a fact to be denied or concealed by the sheer force of artistry. One consequence of this cleaning is that the painting’s picture surface comes further to the fore. 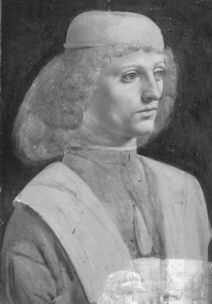 The restorer, Cinzia Pasquali, attributes this to the fact that although the work was known to be unfinished, “now we can actually see it”, as if that might be considered some kind of gain, but anything that causes the picture surface to compete for attention with the intended illusion upon it can hardly be thought characteristic of Leonardo’s wishes or intentions, and anything that causes a picture to seem unfinished and less resolved than previously was the case, might more realistically be taken as an aesthetic alarm call than as a vindication of raw method. Above, Fig. 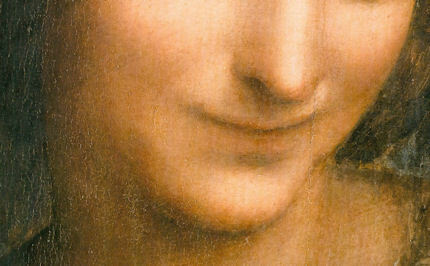 3: Leonardo da Vinci, “Virgin and Child with St. Anne”, detail, before cleaning. Work on this section of the painting produced one of the strongest and most keenly contested controversies within the international advisory committee. A “varnish” on the Child’s body was taken by the restorer (and others) to be an earlier restorer’s decayed varnish. 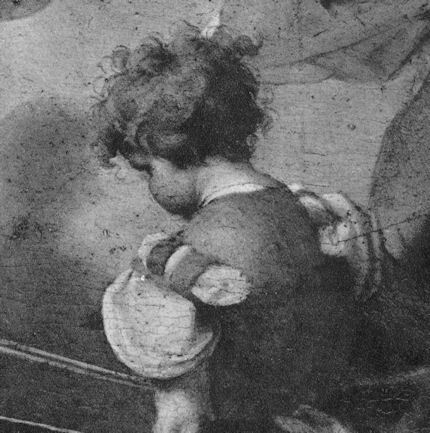 This reading was challenged by the student of Leonardo’s painting technique, Jacques Franck, who noted that this material had contributed to the modelling of the Child to a substantial degree and in a manner that went beyond any straightforward varnish layer. He felt, therefore, that it should be preserved until no doubt existed about its precise function and date of making. He and others of this opinion called for the disputed coating to be revived rather than removed, but they were over-ruled on the committee. 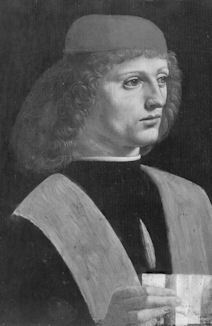 Analytical tests were made on the material and these were said to have proved on chemical grounds that the material taken to be constructive orginal glazing by Leonardo was in fact only a later varnish. But if this chemical analysis is held to have provided an indisputable basis for excluding the possibility that the material was original, then it is incumbent upon those who removed it to explain how the various apparently artistic effects that it had contributed, had been achieved. In a nutshell the problem is: How might an overall “varnish” as opposed to a glazed layer, contribute differently in local areas that happen to coincide with discrete parts within an artist’s design? In effect, this is the same challenge that we mounted over two decades ago to the restorers at the Sistine Chapel who held that sculpturally-enhancing shadows on Michelangelo’s frescoes were the happy consequence of soot from candle smoke that had accumulated on the ceiling over many centuries. Above, Fig. 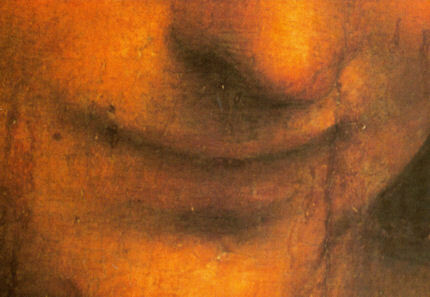 4: Leonardo da Vinci, “Virgin and Child with St. Anne”, detail, after cleaning. Visually, it would seem clear that the ground around the lamb’s tail has been in effect “scoured”; that darkened passages which threw the lamb into relief and prominence have been in effect “abraded”. Is it possible that a mere thinning of an overall varnish could have been responsible for such a transition? Above, Fig. 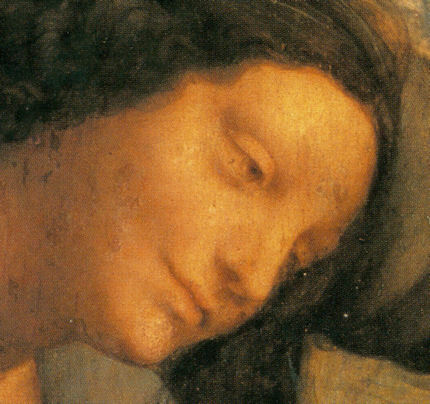 5: Leonardo da Vinci, “Virgin and Child with St. Anne”, detail (St. Anne), before cleaning. Above, Fig. 6: Leonardo da Vinci, “Virgin and Child with St. Anne”, detail (St. Anne), after cleaning. The changes in this face can only thought alarming and deleterious. Vincent Delieuvin’s claim that cleaning has enhanced the sculptural effects of the picture seems plain wrong. For any draughtsman or sculptor, the image at Fig. 5 would have to be considered to hold more “information” than that at Fig. 6. The shadows contribute to a far greater sense of sculptural relief and surface relationships. One might say that the cleaned state now appears to be modelled in shallower relief than that found before treatment. Before the cleaning, the plaited braid of hair running over the top of the head, partook of a general system of shading. After cleaning it has emerged generally lighter and, on the viewer’s left side, no longer tucks into the general ensemble that comprises the more shaded side of the head. 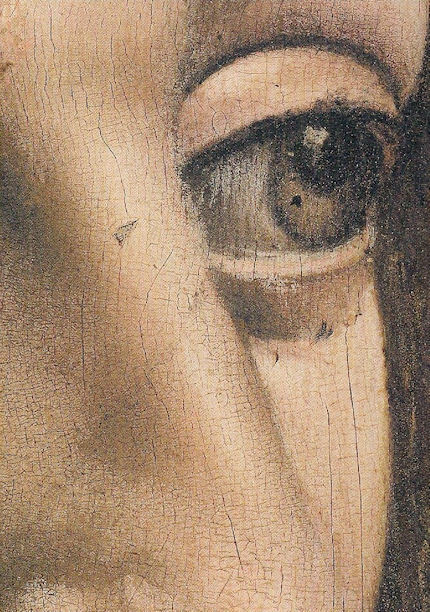 Moreover, of the shading on the face, it can immediately be noted that a certain transparency has been introduced – it is now possible to see under St. Anne’s (true) right eye, an earlier positioning of the iris by Leonardo. It is a commonly encountered consequence of picture cleanings that they take works further towards the condition of transparency that is seen in infra-red photographs, where the light penetrates the surface of the paint. While that kind of “imaging” is very useful in terms of identifying earlier stages in a work’s genesis and, specifically, in identifying an artist’s own under-drawing, it cannot be a good thing for works of art themselves to be rendered transparent. Above, Fig. 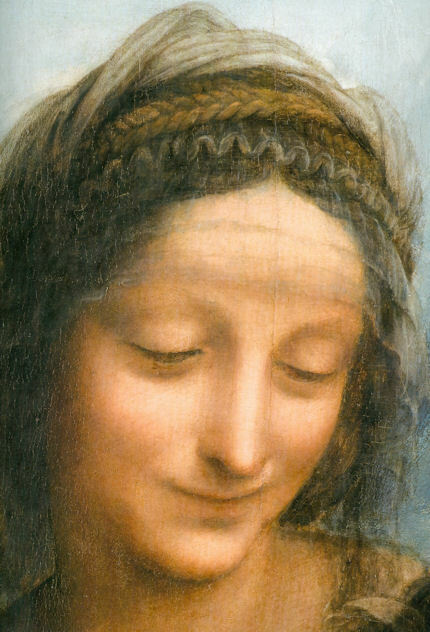 7: Leonardo da Vinci, “Virgin and Child with St. Anne”, detail (St. Anne), before cleaning. Above, Fig. 9: Leonardo da Vinci, “Virgin and Child with St. Anne”, detail (St. Anne), before cleaning. Above, Fig. 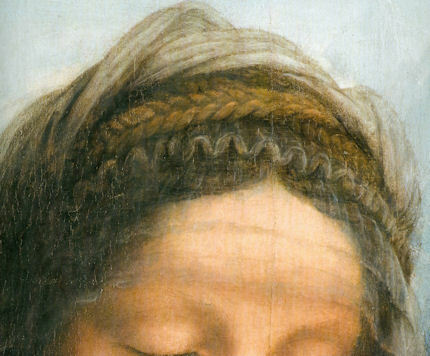 10: Leonardo da Vinci, “Virgin and Child with St. Anne”, detail (St. Anne), after cleaning. 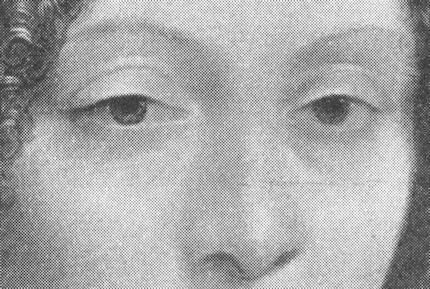 One sees in this comparison of the eyes, not only the emerged iris but also a substantial degree of lost shading around the eyes. This is very commonly encountered in restored faces. The eye is best understood anatomically as a ball set in a hollow (a hollow that is formed by the brow/nose/cheekbone configuration), and its surface is only made visible through lids that close for protection and during sleep. The “eye” that is defined by the aperture of the opened lids is properly to be understood as a part of the surface of the larger eyeball. The relationships between these component parts are very distinctive to individual heads (or to the idealised “types” of heads devised by artists). Anything that reduces the original artist’s construction of those relationships (made by shading essentially) is extremely harmful to the “plastic” properties of the head as well as to its characteristic expression. 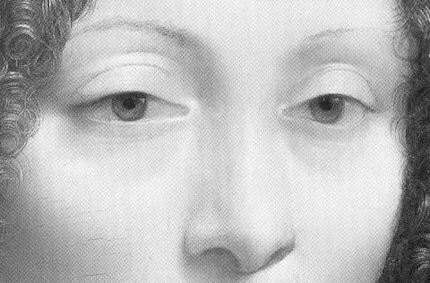 A commonly encountered feature of restored faces is that the shading around the eye, which “sets” it properly in its recessed protective zone, is so diminished that the more precisely delineated parts – the shapes of the eyelid apertures and the iris/pupil – of the eye become more apparent, become over emphatically drawn. With regard to the level of cleaning that is said to occurred on the St. Anne, Franck had been assured that varnish would be left in place to a thickness of 18 to 20 microns. A micron is only one-thousandth of a millimetre or 0.001 mm. It might be wondered how a restorer working with solvent-laden cotton wool swabs (as seen in use on the DVD film, for example) might ever be able reliably and predictably to operate evenly to such ultra-fine tolerances. In the event, Franck was told that on the St. Anne the level of varnish that had been retained was of only 12 – not 18 to 20 – microns depth, or in other words of 0.012mm. This raises the question: Was this, as had been promised, the area of greatest varnish thickness that was left in place, or was this, in fact, the “uniform level” to which the painting had been cleaned throughout, as is described in the exhibition on the wall notice? Above, Fig. 11: Leonardo da Vinci, “Virgin and Child with St. Anne”, detail (St. Anne), before cleaning. Above, Fig. 12: Leonardo da Vinci, “Virgin and Child with St. Anne”, detail (St. Anne), after cleaning. 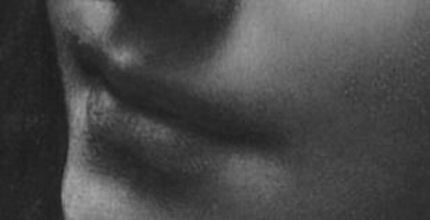 It would seem inconceivable, to any sculptor’s trained-eye that this section of the face, after cleaning, might be considered to enjoy enhanced sculptural values. In purely formal terms, what is seen here is an advance and an expansion of the lights at the expense of the darks – which darks had comprised in this working method the “constructive” component of Leonardo’s “modelling” on the light ground of his picture. The lights had not been painted as values, they were merely the sections of ground left unmodified by Leonardo’s meltingly applied shadows. Above, left, Fig. 13: “The Virgin and Child with Saint Anne and the Infant St John the Baptist”, (“The Burlington House Cartoon”). Above, right, Fig. 14: “Virgin and Child with St. Anne”, before cleaning. Above, left, Fig. 15: “The Virgin and Child with St. Anne”, copy, c. 1508-13, Armand Hammer Museum of Art, Calif., US. Above, right, Fig. 16: The “Virgin and Child with St. Anne”, after cleaning. Above, left, Fig. 17: “The Virgin of the Rocks”, the National Gallery, before cleaning. 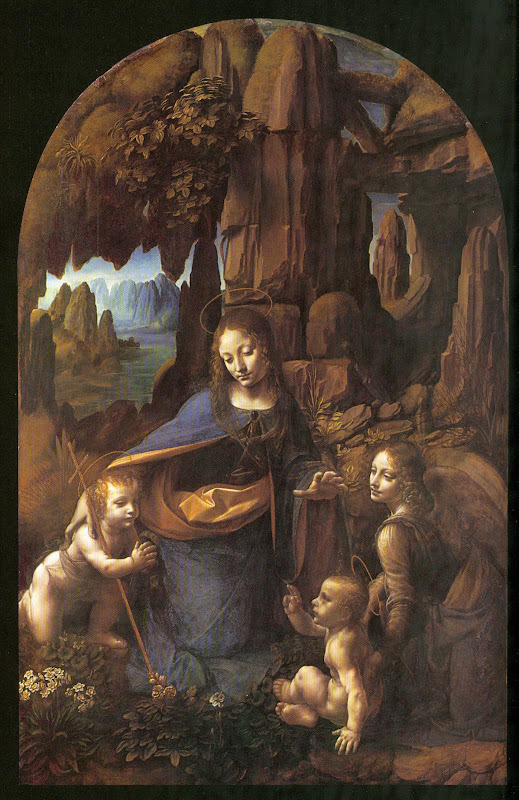 Above, right, Fig 18: “The Virgin of the Rocks”, the National Gallery, after cleaning. As with the Louvre’s St. Anne, the varnish (which had been described as having come to constitute a threat to, as well as a disfigurement of, the paint) was said to have been thinned not removed. Indeed, when shown the painting part-cleaned, and when it was lit with an ultra-violet lamp, remains of (patchy) varnish were to be seen on the picture. Against that evidence, we face the problem of how the changes that manifestly occurred (as seen above) could have arisen. For example, how was the angel’s mouth changed if it remained under a film of varnish? What accounts for the fact that after the last cleaning the picture did not return to anything like its condition when previously cleaned sixty years before? Specifically, what accounts for the great lightening of the sky seen in the top right, as opposed to the sky seen on the left? What accounts for the great change in the Virgin’s blue robes? Above, Fig. 19: The short Louvre catalogue, left; right, an illustration published in 1992 of the principal heads in the “St. Anne.” The emerging chasm between such photographic records of the same painting has yet to be addressed by scholars and curators.